Forget all those rumors about Apple, Google, Microsoft or anyone else buying Twitter: The company's bosses say Twitter is not for sale. 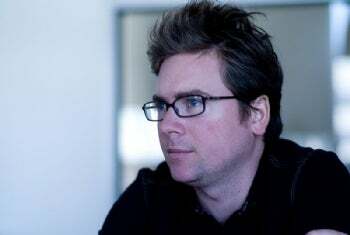 Yesterday, Twitter co-founders Biz Stone and Evan Williams were on ABC's "The View" as part of Twitter's current media campaign that has also included appearances on Oprah and The Colbert Report. Responding to a question from Barbara Walters about the rumors surrounding an imminent purchase of Twitter by a larger tech company, Stone responded with an unequivocal, "No. We are not for sale." The same day that Stone and Williams were mixing it up with Walters and her chatty coffee klatch, Twitter's Vice President of Operations Santosh Jayaram was talking about the future of Twitter's search engine. Speaking on a discussion panel with representatives from Twitter and LinkedIn, Jayaram said Twitter was going to start indexing Web pages linked to in Twitter posts, according to CNET. The basic idea behind indexing Web pages is not to compete against larger search engines like Google, but to supply a faster alternative for real-time information. Jayaram also said that Twitter would institute a reputation ranking system for its users, in order to help Twitter's search engine rank search results. When you search a "trending topic" on Twitter -- the list of Twitter's 10 most popular topics that appears in a Twitter user's sidebar -- the reputations of people posting messages about your particular topic would be taken into account when ranking search results. Twitter's engineers are still trying to figure out how to determine a Twitter user's reputation, but hopefully they will not create some sort of Twitterocracy like Loic Lemeur has suggested. Instead, an effective reputation system could help push the numerous re-tweets and spam off the top of the results page so that users can capitalize on the wealth of real-time information on Twitter. Twitter is gaining a lot of attention for its search capabilities, largely because of the numerous links to sites of interests that users post. While Twitter is not an alternative to Google when looking for a specific Web page or movie times, Twitter Search can help you find information about current events in real time. Twitter's effectiveness at finding information played out during last year's terror attacks in Mumbai. Many people caught up in the attacks used Twitter to report their experiences and let friends know they were safe. In the aftermath of Mumbai, questions were raised about whether Twitter was more effective than traditional news media for spreading information about the terrorist attacks. Twitter users are also turning to Twitter search for less dramatic information, like finding a link to a popular video or following a reporter like The Washington Post's Chris Cillizza, who posts a play-by-play of all White House briefings he covers. It's all about data for the little microblogging company and Twitter's co-founders are quick to point that out. During his appearance on The View, Stone said that Twitter was not a social network like Facebook or Myspace, but an "information network" that allows you to curate and receive information in real time that is relevant and meaningful to you.